This week Dell launched its first Internet of Things (IoT) Lab in Europe as well as attended IoT Expo Dubai in the Middle East. A key opportunity for IoT technologies in both of these regions is sustainability – the ability to use without being completely used up or destroyed. Dell EMEA IoT Strategist Anthony Sayers spoke at IoTx Dubai around Improving Sustainability Through the Internet of Things, and the resources from our new Lab will help customers accelerate new methods to achieve this goal. Sustainability is not a new topic to Dell. For over a year, Dell has been working under its Legacy of Good plan – a set of 21 long-term sustainability goals that cover all aspects of Dell’s business. The plan was a result of our realization that Dell’s role with respect to environmental issues is not just about mitigating our impact, but also about understanding and encouraging the use of our technology to address these issues directly. A number of non-profit and industry organizations agree with us. In fact, in 2008, the Global e-Sustainability Initiative, along with The Climate Group, released a landmark study called the SMART 2020 Report. This study identified five areas where Information and Communication Technology (ICT) can have a positive impact on the environment far beyond its footprint. One of the key areas mentioned in the report: SMART buildings. The opportunity for smart buildings is huge as we shared at the Dell Annual Analyst Conference, at CommunicAsia and at IBCon. 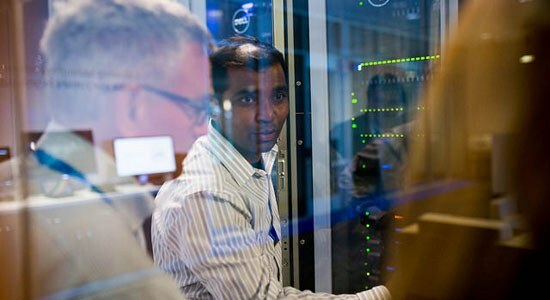 The technologies provided by Dell and its peers have the potential to reduce the sector’s carbon emissions by the equivalent of 1.6 billion metric tons of CO2 by 2020. To put this in perspective, that’s roughly the savings from taking 200 million cars off the road. To realize that potential, though, companies have to move off the paper study and out into the world. As part of our efforts, we have joined Cleantech San Diego. This organization’s mission is to accelerate clean technology innovation and adoption of sustainable business practices for the benefit of the economy and the environment. Dell’s first project with Cleantech is to demonstrate how gateways and analytics can help the Port of San Diego enable and manage smart buildings. As described by Cleantech, the gateways collect data from heating, ventilation, and air conditioning (HVAC) systems at the Port of San Diego’s Administration Building. That data is then stored in OSIsoft’s cloud-based PI System and translated by Black & Veatch’s ASSET360 analytics software into a simple dashboard display that can be easily interpreted and acted upon by building operations managers. These new dashboards allow Port building operators to analyze energy use patterns throughout the facility, identify abnormalities, and adjust behaviors accordingly, which is expected to result in energy savings, cost savings, and reduced greenhouse gas emissions. When you enable the operator, the front line, with quality information, that operator is able to make immediate decisions to make adjustments, call for repairs, or simply turn off the lights. That’s how sustainability goals are met – in San Diego, Dubai, Bangkok, Europe and in organizations around the world.